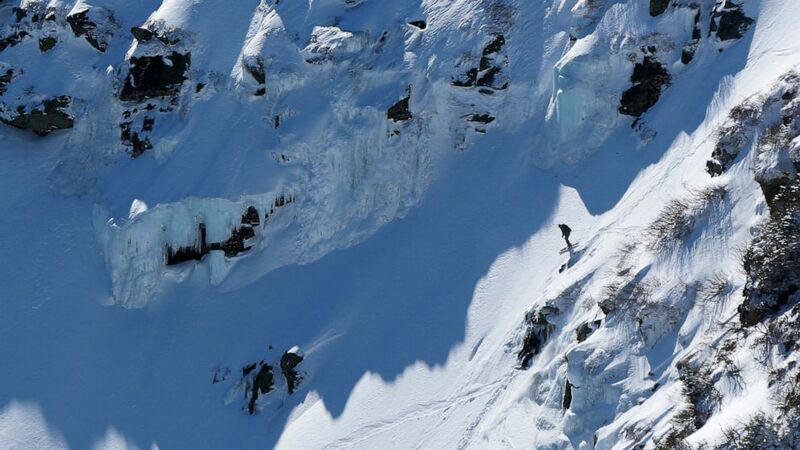 Authorities warned of increasing avalanche danger Friday a day after a skier died on the Northeast's highest mountain. Thursday's was one of at least four human-triggered avalanches on the mountain that day, and more were possible as slabs of snow formed by wind warmed up and weakened, according to the Mount Washington Avalanche Center's daily forecast. "Moderate avalanche danger exists today with a warm and wetting snowpack," the center wrote. "If you find yourself sinking into mushy, wet snow, it is time to get off the slope." The victim, whose name has not been released, was skiing by himself Thursday afternoon in an area called Raymond Cataract near Tuckerman Ravine. The avalanche was reported at 1:30 p.m., and the man was dug out about an hour later, buried under 5 feet (1.5 meters) of snow, said Evan Burks, a spokesman for the White Mountain National Forest. Rescuers performed CPR, but the man was pronounced dead several hours later. Burks said the skier's death highlighted the importance of traveling in groups, being prepared for changing conditions and paying attention to the forecasts. Longtime climbing guide Rick Wilcox agreed. "So many people use Mount Washington, and so many people don't have much information about the snow conditions," said Wilcox, past president of the volunteer Mountain Rescue Service. At 6,288 feet (1,916 meters) tall, Mount Washington is the highest peak in the Northeast and is notorious for its bad weather. Friday marked the 85th anniversary of a record wind speed there in 1934. The 231-mph gust remains on the record books as the highest wind speed ever observed by man, though in 1996, an unmanned instrument station in Barrow Island, Australia, recorded a gust of 253 mph. In February, a Massachusetts man died in what the avalanche center called a "long sliding fall," the most common cause of death in New Hampshire's Presidential Range. Jeremy Ullman, a 37-year-old neuroscientist at Boston Children's Hospital, died after slipping and falling more than 300 feet (91 meters) into a boulder-strewn area. Last month, Forest Service snow rangers helped search for a missing 21-year-old Massachusetts man who may have been seen on Mount Washington on March 8. His vehicle was located at a trailhead parking lot March 16.